Polynesia, from the Greek, many islands, is a grouping of over 1,000 islands scattered is the South Pacific. The Polynesian Island cultures share much in common, including the plants, herbs and trees used for food, medicine and religious celebrations. The Polynesian Islands were the last places on Earth to be settled; migrants first came from Asia around 1000BC. 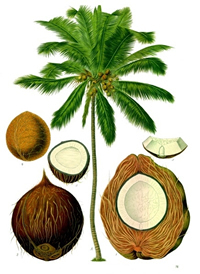 Early Polynesian seafarers loaded their boats with coconuts, taro rhizomes (Colocasia esculenta), breadfruits, and seeds and cuttings of many other plants, and along with assorted pigs and chickens set sail for the distant horizon of the future. 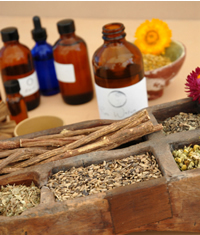 Today's herbal medicine owes much to these ancient, intrepid sailors and the exotic, healing plants that are now part of our life as well.